Hey guys, Zcon 2016 registration officially opens tomorrow - Sunday December 13. Some events are on a limited basis so register early to avoid missing out on anything. Register before April 30 to save! Some events are on a limited basis so register early to avoid missing out on anything. 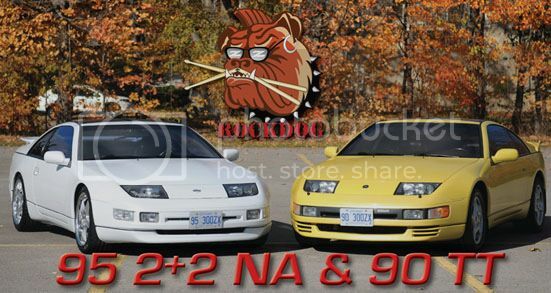 Ontario Z Car has an awesome event planned for Canadians and our US friends. HPDE Track Event, AutoX, Car Shows, Special Guests, visitors from several continents, a myriad of Sponsors, Raffles, Auctions, Group Drives, Dinner Boat Cruise… don't miss out on the best Z Convention ever!! Can I bring a non z car? I have had several 300zxs since 2007 and I'm a huge z fan, but I have a 1994 Supra now. I love all z cars, but if it's not a good idea I will pass. ^all spectators are welcome to attend although only Nissan, Datsun and Infiniti sports cars are eligible to enter the car show. This year's Z-FEST is combined with the People's Choice awards of Z Car Convention. 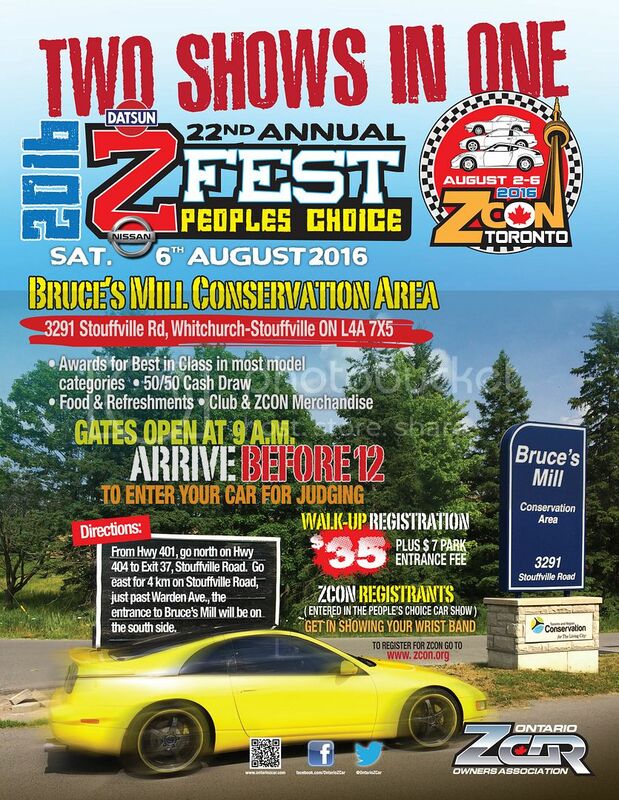 It starts two weeks from today - Tuesday August 2nd and the Car show will be on the 6th Saturday at Bruce's Mill Conservation area in Stoufville. visit www.zcon.org for ZCON details!